Today was a perfect weather for assisting Ash from Ash’s pressure cleaning. 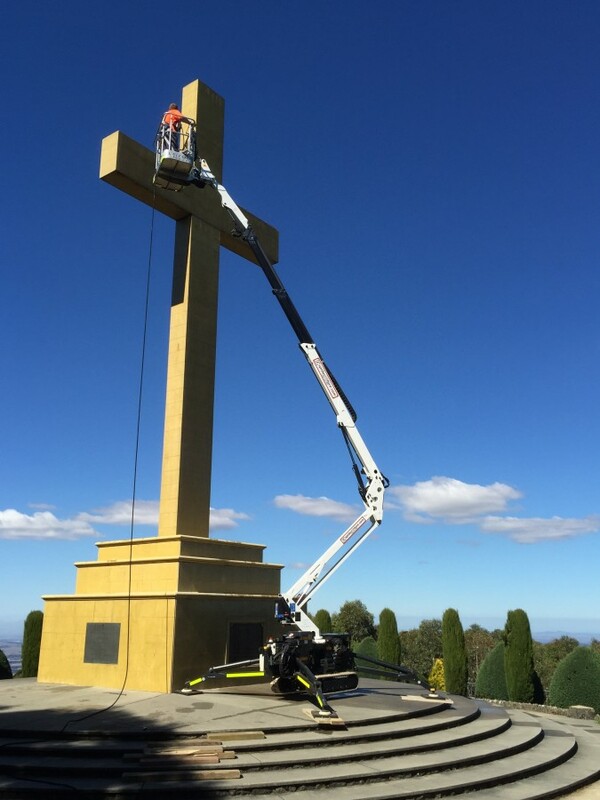 Matt from Spider lift hire melbourne delivered the lift up to the cross on the top of Mt Macedon which is about an hour drive north of Melbourne. The 1890 spider lift was able to be driven right up the steps onto the landing at the base, This area wasn’t level but it doesn’t matter with a Spider lift. The cross structure is over 20m high. Call us with your difficult access job. We can even visit your site for free. Mt Macedon with the 1890 spider lift. 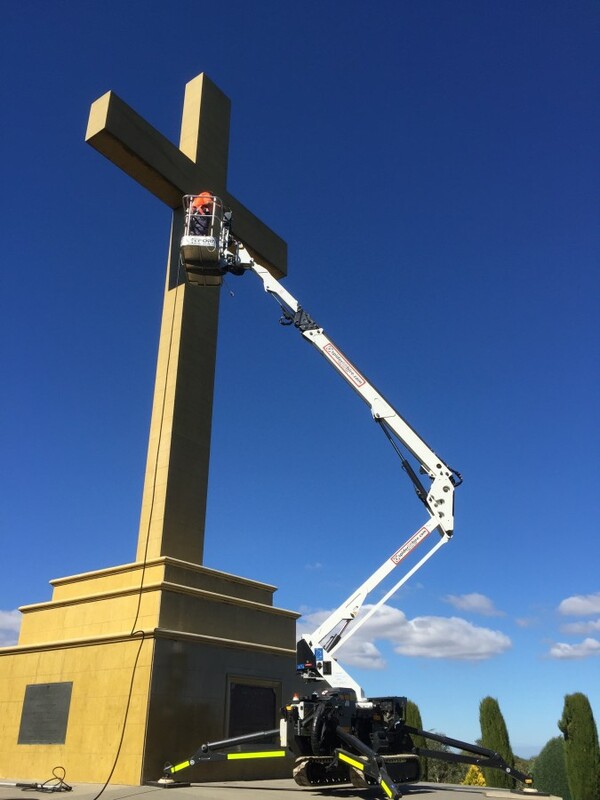 Helping Ash from ash pressure cleaning reach the top of the cross in time for anzac day. Mt macedon vic.